Membership that allows access to both our local and online meetings including stage time on our platforms. 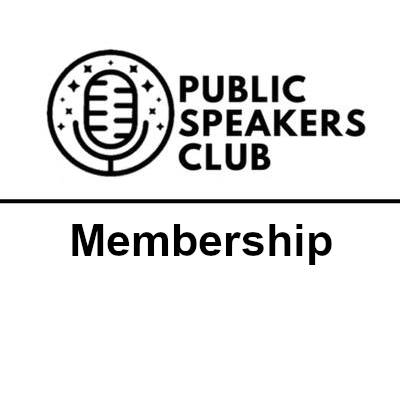 Speakers Club is a personal and professional development opportunity to hone your speaking skills. Whether speaking to one or to many, speaking with clarity and confidence is vital in your personal and professional life. You want to be regarded as a sharp, enthusiastic expert in your area of focus. Speakers Club provides the stage you need to get before a real audience and speak with confidence, clarity, and poise. *Subject to availability and registration timing. Registering for each meeting early ensure’s your spot will be available.